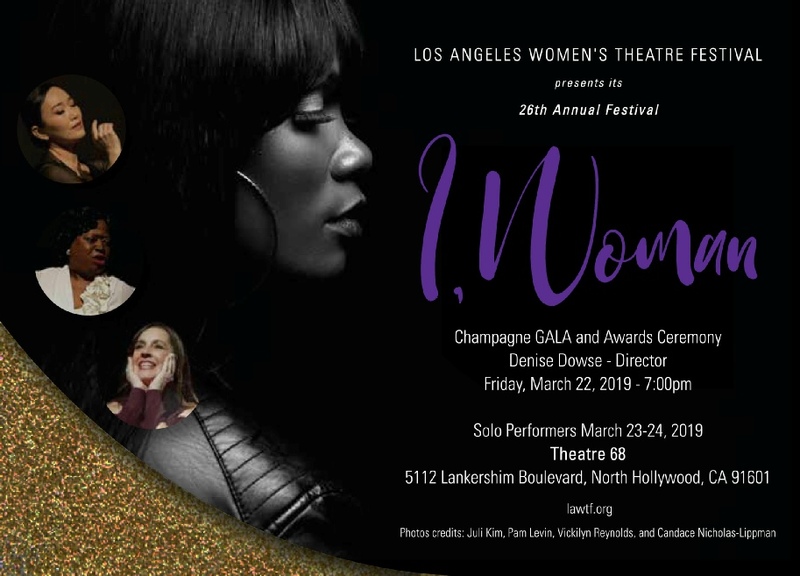 The Los Angeles Women's Theatre Festival (LAWTF) celebrates artistic diversity through the production of traditional and innovative performances and educational outreach. More at www.lawtf.org. Champagne Gala and Awards Ceremony on March 22 at 7 PM. Solo Performances on March 23 and 24 at Theatre 68 in North Hollywood.